Life was much simpler when Apple and Black Berries were only fruits. But today, even Microsoft seems to impressed from the popularity or Apple iPhone and RIM’s Black Berry, by naming its next WP7 update “Microsoft Windows Phone 7 Mango”. Windows Phone 7 Mango is promised to bring around 500 new features to including Xbox integration, Twitter integration, SkyDrive sync, multi-tasking and more internet features according to briefings and revealings at the Mobile World Congress 2011 and Microsoft MIX11. 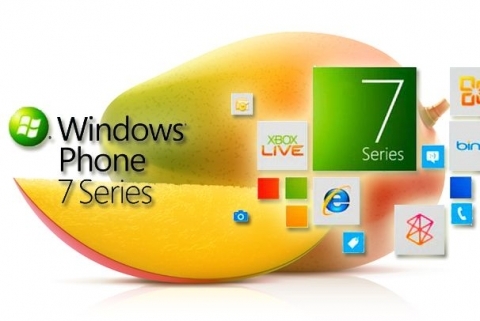 With the announcement of next chapter in Windows Phone 7 Mango by Microsoft, there are lot of rumors running high in the mobile market. However, one thing is sure, the Windows Phone 7 Mango update is not just another regular update with copy paste and bug fixes. The Windows Phone 7 Mango update is going to be something real big and significant with almost 500 new features on the table. The People Hub has traditionally been the place to unify your contacts so you can see their Facebook updates, along with any communication you have had with them via text, calls and social networking, along with their photos. Now Twitter and LinkedIn are supported o you can view your friend’s information and feeds via the People Hub, whether they’re a business contact or social contact. If your contact has been tagged in a photo, you can view these from the People Hub too and. Groups is another new addition to the People Hub and any groups, whether different circle of friends, business contacts, family or best friends appear appear at top of ‘All’ list in the People Hub. The People tiles will update within a group, and you can send the whole group a message individually through Facebook or phone, or any other way of communicating within the People Hub. You can also view photos where everyone in that group is tagged. Facebook Chat has been added to the People Hub too, so you can communicate to your friends via social IM. You can set your status to be ‘away’ so your contacts will not be able to access your though FaceBook Chat, but wil be able to do so through text if need be. This works the same the other way too. For example, if you’re having a chat to a friend via FaceBook chat on your mobile and then they leave the conversation, your phone will suggest you send them a text message instead. The conversation thread interface has also been updated, allowing you to view the conversation via all message types, whether you’ve started a conversation via email then through FaceBook via text. Apps are better integrated than ever into the whole Windows Phone 7 Mango interface. Where previously and on other platforms, applications sit independently on a device and don’t seem to communicate with the device, Mango introduces a fully integrated solution where everything ‘speaks’ to your device. We’ve already covered a lot of this within the People Hub, where LinkedIn, FaceBook and Twitter all appear in the People Hub, allowing you to have conversations with anyone, using any network, anywhere. The BA application was one of those demonstrated, including the ability to add app shortcuts to your homescreen. In this case, you are able to add your boarding pass to your homescreen so it could be accessed super-fast if any security approaches you while at the airport. The internet hub has been overhauled with the introduction of Internet Explorer 9 for mobile. For starters, IE9 is much faster than any other browser for rendering pages. In a comparisons with a BlackBerry, iPhone and Android device, the Windows Phone 7 Mango device loaded much faster. The BlackBerry loaded at 4fps, the Android device at 10fps and the Windows Phone 7 Mango device at 26fps. Functionality has also been overhauled, and again, communicates with all aspects of the phone. Start typing in a search, for example Water for Elephants. As you type, the results for that term will show up before you press anything. Your location will be traced and the movie times in your local area will be shown. When you click on the result, a Quick Card will show all the information, including ratings, running time and other essential information. Now type in a restaurant you want to visit. A Quick Card will appear with the restaurant information – a picture of the restaurant, reviews and contact details, down to the exact neighborhood. Click on the neighborhood and you’ll be taken to Local Scout which lists everything nearby to you. These link with apps too. For example, if you’re searching for a film in the internet, it will search information available in your apps too. So if you have IMDB installed, you can look up information about that film in IMDB too. Visual search has also been added, allowing you to read a photo and search for that item. Multitasking was one of the most hyped improvements on Windows Phone 7 Mango and it’s certainly a welcome addition here. Firstly, Microsoft has made it effortless to switch between applications and games to the homescreen, and even if you receive a call or text from within the app, you ca check it out. When you fire the app up again, it will start instantly. If you press and hold the back key, you can move between the applications too. Although the Xbox integration was only tapped upon, Mango users can expect quite a few changes to the interface and the way things will work with your Xbox account. Firstly, everything is coordinated whether you’re using Xbox on your mobile, PC or console. You can edit your avatar and view all of your account across the three screen and have a look at your collectibles. Instead of viewing your gaming progress within the games themselves, you can now view how you’re doing in the whole Xbox Hub, from within the application. You can also share your progress with friends in your social networks and comment on games too. Microsoft said all the current hardware manufacturers (HTC, Samsung, Dell and LG) will make more devices to run on Windows Phone 7 Mango, with new manufacturers coming on board too. You can expect to see new devices from Acer, Fujitsu and ZTE coming later this year. We’ll have more on Windows Phone Mango very soon. You’ll start getting alerts saying it’s ready in fall this year (Autumn for the UK), and will just need to plug your hone into your computer. We assume the download will be pretty hefty, so you may want to put a little time aside.